December lured me into a false sense of security by being so mild, but boy has January made up for it. I am freezing! My car beeps every time I get in to warn me of the icy temperatures: 0.5° first thing in the morning is a bit of a shocker. 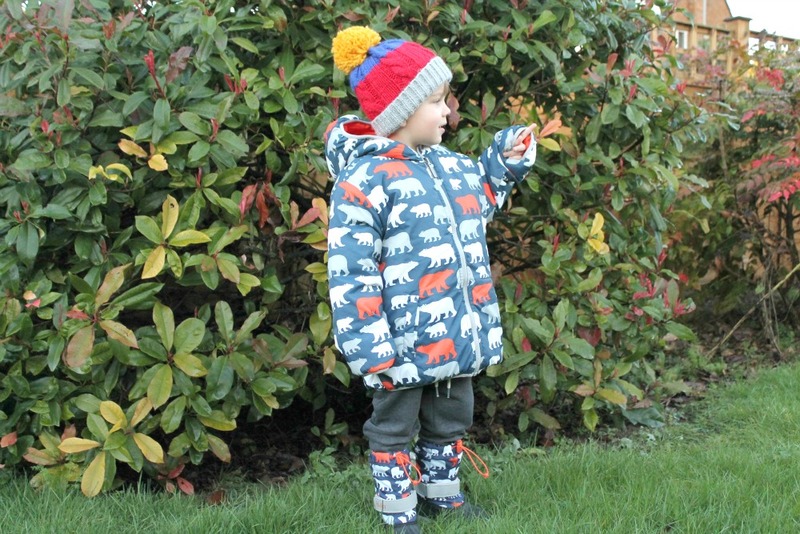 Lucky Little N has been keeping toasty in his new Hatley Polar Bear Reversible Winter Puffer Coat (£52.00) and his matching Hatley Polar Bear Winter Boots (£42.00). The hooded coat is navy on one side with white, grey and orange polar bears, and the other side is block orange and features the Hatley logo. It's a really cool design and Little N really stands out from the crowd. There are zippered pockets on both sides, handy for stashing small toys and other treasures, and a long zip runs along the middle of the coat from bottom to top. 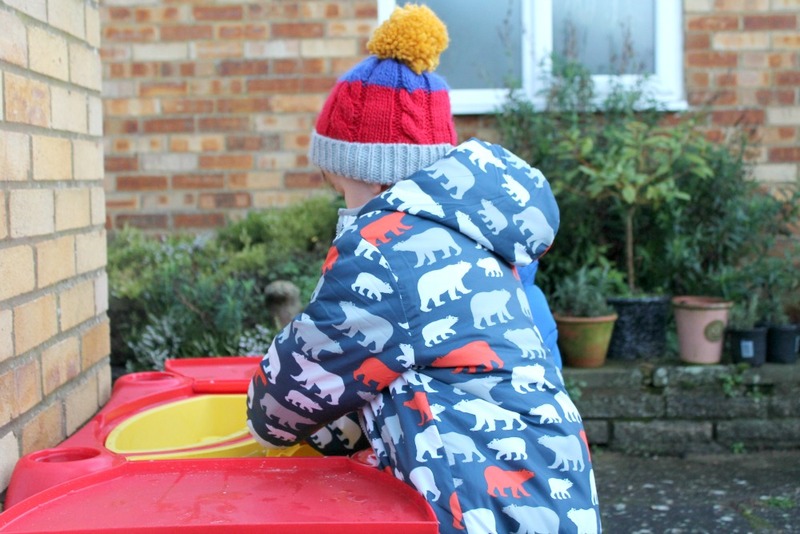 The coat is elasticated around the hood, waist and cuffs for a cosy fit and it is waterproof with a Teflon coating to keep N dry while the polyester insulation keeps him warm. And it's totally machine-washable. 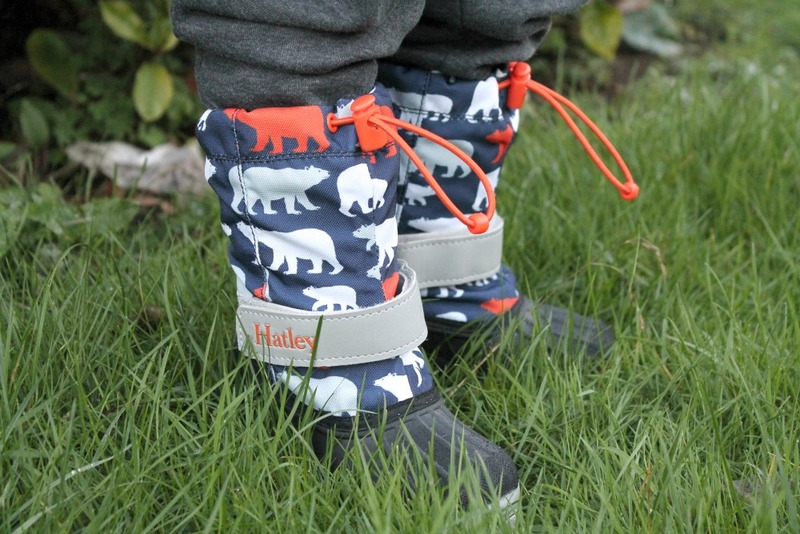 The Hatley winter boots are so awesome, they're insulated to keep toes toasty in temperatures as cold as -25° and they come in the same print as the coat. They are waterproof and the rubber lowers have plenty of grip to make them slip resistant. The boots have a velcro strap and adjustable drawstring to ensure a good fit - I find pulling the drawstring stops water getting into the boots when puddle jumping but Little N prefers to have them loosened. Despite how chunky the boots look, they have a flexible sole and the insulated liners can be removed if you want. I love how warm and protected N looks in his coat, and he says he feels warm in it too. He usually wears size 3-4 in clothes and his coat is size 5 (so like size 4-5), and you can see he has plenty of room to grow. I am sure it will see him through next winter as well as this year. The boys went into the garden the other day and decided to play with the water table. They were getting themselves covered in icy cold water but N was not bothered at all and his coat didn't seem to get wet. I normally hate it when it snows, but now that Little N is equipped with all the gear he needs to face even the most arctic of temperatures, I'm looking forward to getting some of the white stuff. He can go out and have a proper play in it without me worrying that he is getting too cold or wet! Head over to the Hatley website to see more of their range. I can't wait to see what their Spring/Summer '16 collection is going to include! Have you had any snow where you are? 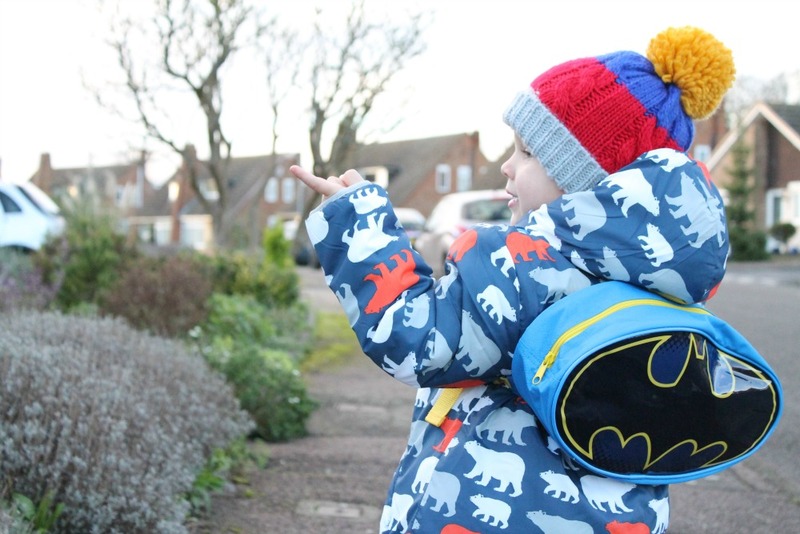 *I was kindly sent the Hatley coat and boots for review.